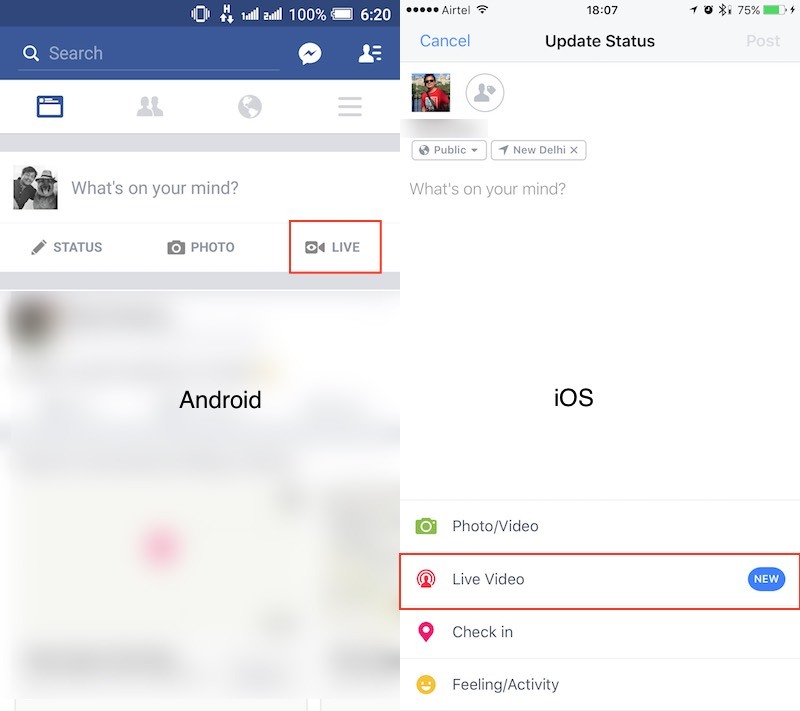 Facebook seems to have flipped the Live Video switch for all its individual users in India, with the option now available to users on the iOS and Android apps. The Live Video feature was earlier available to all Facebook pages, individual users in other countries like US, as well as select users in India. Android users will see the option very prominently when the open the app, right below the status box, next to thePhoto and Check In options. iOS users will need to tap on the What’s on your mind box and then look for the Live Video option towards the bottom of the screen on the resulting screen. Live Video lets users broadcast a live video feed to other users on Facebook. Facebook has been pushing Live Video in a big way, and flipping the switch in India means your News Feed is likely to be full of inane live videos over the next few days, so you may want to stay away from the Facebook app as everyone does “testing live video” posts.